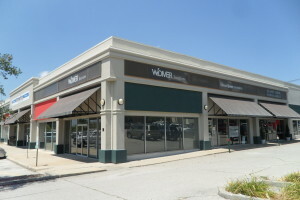 ” As a developer and property owner located in Champaign, Illnois, I have found using Coldwell Banker Commercial Devonshire Realty Property Management to manage a portion of our company’s portfolio of properties to be an asset to our ability to better serve our tenants and a great benefit to allowing us to plan and manage future developments. The property management team is on of the most impressive I have come across due to their 30 year history as professional property managers and the remarkable infrastructure of the company which allows them to provide services above and beyond what other companies can offer. Get new listings right to your inbox! © 2019 Coldwell Banker Real Estate LLC, dba Coldwell Banker Commercial Affiliates. All Rights Reserved. Coldwell Banker Real Estate LLC, dba Coldwell Banker Commercial Affiliates fully supports the principles of the Equal Opportunity Act. Each Office is Independently Owned and Operated. Coldwell Banker Commercial and the Coldwell Banker Commercial Logo are registered service marks owned by Coldwell Banker Real Estate LLC, dba Coldwell Banker Commercial Affiliates.